We are very happy that there are 15 children who have an ‘excellent’ result, 30 children have a ‘good’ result and 15 with an ‘average’ result. We’re so thankful to the staff of Friendship House who help to check the children’s homework and memorized the lessons so the children can study more. There are 8 children attending the training in computer skills. The class is divided into 2 classes each week. All of the kids are very interested to study computer skills because it is very helpful for them in the future. There are about 9 children attending the English class. They are from grade 6 and 7. We had Brandon and Neely, to help us teach English every Tuesday morning. They did very good job helping the students who are within the ages 11-14 years old improve their conversational skills, grammar and pronunciation. 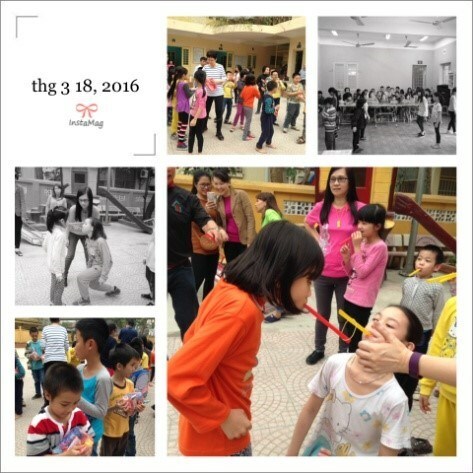 This is also an opportunity for the children here to practice English with foreigners. They are very interested in studying English with Brandon and Neely. Beside that they also have fun and play games together. As always thank you for your support to enable this work to continue.